It’s been a long time since I’ve run a book giveaway on my blog, but this book is good enough for me to try again! This is one of the best books I’ve read in a long time, and I’m excited to be allowed to give away a copy to one of you. Stephanie Langford from Keeper of the Home has been becoming a very good friend of mine over the last few months. Its started out when I found her blog by accident, then I thoroughly enjoyed her first book, Healthy Homemaking. Over time, by commenting on her blog, we got to know each other. Later, I became a guest author on her blog, where I now write about every six weeks. Her new book, Real Food on a Real Budget, was released a little over a month ago, so hopefully this won’t be old news to you. However, in the weeks since I received my review copy (I know, it’s one of those great “job perks” — so unfair! LOL), I have opened and re-opened my copy. I can’t say the same for every book I own, can you? Some books make great one-time reads, and others just collect dust. This is a book that I’m using over and over again. She sells the book as both an e-book and a paperback, but there is no fluff here. It’s a serious book! For 277 pages, she tells me how I can eat real food at my house and still balance the checkbook. This has always been a passion of mine, so when I heard her title, I thought I better pay attention! I’m pretty picky about who I get nutrition advice from, so when I found out that I agreed with her… well, praise God! Leave me a comment with your name and a valid e-mail address. If you want to add your two cents about why this book would be perfect for you, that would be great. It’s not required, though. Earn an extra entry by following Stephanie on Facebook at http://www.facebook.com/pages/Keeper-of-the-Home/402902607952. Leave me a comment so I’ll know. Earn another entry by tweeting about this giveaway on Twitter. Leave me a comment so I’ll know. Earn TWO more points by blogging about this giveaway on your own blog. Leave me a link to your blog in the comments below so I’ll know. The prize is one digital (e-book) copy of Real Food on a Real Budget, valued at $18.97. The winner will be chosen randomly and notified by email on Tuesday morning. I’ll also announce it here then. Anyone can enter, from anywhere in the world. Living on a very limited budget, with allergies and health issues through out our family, this book would be a blessing for us. Answers to doing it healthy and cheaply. Thanks so much for sharing your heart. I really loved seeing your pix from Chicago. 🙂 My sister lives right near Schaumberg. I would greatly appreciate a copy of this book. I have a very dear friend who is being treated for melonoma and we are learning together how much needs to change in our diets!!! It is a challenge to eat healthy on a tight budget. You would think basic foods would be the cheapest to buy, but not so. God has been laying on my heart the need for change for our family and I want to obey Him but need help with ideas. I’m so thankful for Anne and this site and look forward to reading this book. Our journey in healthy eating on a limited budget has been two steps forward, one step back, so I could use a tool to make the job easier. Thanks! This would be a great tool not only to improve our health but to help me get a better handle on our spending. What a blessing! My family needs to eat healthier and it is hard to change some habits. Maybe this would help. Thanks! I love to learn how to feed my family with health foods. And I love to read! Thanks! Hi Anne, I’d love to win a copy of Stephanie’s new ebook! I have looked at it for a while, but haven’t ordered it yet. I am always looking for ways to eat healthier…and saving money too would be a plus! Thanks for doing the giveaway! Our family could really use this book. Thanks for letting me know about it! Our family is committed to eating healthy and is, like most, on a budget. This sounds like a great book! Thanks! Would love to read this book on healthy eating. Sounds like the book I need to get on the right track for healthy, real food meals! I would love to have a copy of this book. We are trying to make healthier choices but finding it a challenge with our budget. 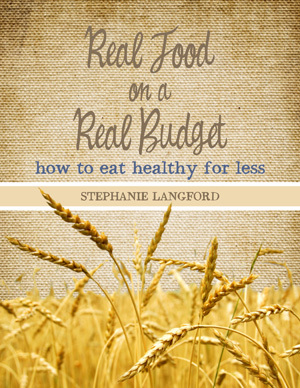 It sounds like Stephanie addresses these challenges well in “Real Food on a Real Budget”. Thanks for including me in your giveaway. I would love to learn how to eat healthy on a one-income budget! I posted a link on my blog! Also chose to “like” Stephanie’s page on Facebook. I so desperately need to eat better and to lose weight. I am trying, but sometimes it is so hard especially on a limited income. I am teaching my daughter to learn at a early age about making wise choices. Sounds like this would be a great book to have. Thanks for the chance to win! God bless. –Jean J.
Wow! This sounds like a very practical book. We have a large family (8 of us) and it would be great to learn how to make our healthy eating changes more economical. Thanks! Hilary, That’s hilarious! I DID forget to follow her! Okay, fixing that now…. I’ve had trouble figuring out how to feed my family a healthy diet while sticking to a budget. I would love a copy of this book if it would help me make improvements in this area. Thank you for introducing us to this book. As most one income families need to be frugal, some extra advice and ideas would be very helpful. I also started following Stephanie on Facebook. Thank you! Eating healthy on a strict budget has always been a challenge. I need all the help and encouragement I can get. Thanks for all you do. I’m following Stephanie on Facebook! I would love to read this book. I am just learning how to balance healthy eating on a low food budget. Wow! Looks like just what I’ve been looking for at the library. Haven’t found just what I want yet, maybe this is it?!! It would be wonderful to win it! Signed up with Facebook. And ‘LIKED’ it! We’d love to use this book to achieve healthier eating without blowing our budget. I have found it very hard to eat a “nourishing traditions” diet on a limited budget. I feel like I’m always making compromises. I would love this book to see if it would help! Thanks! I could always use more ideas for stretching our budget while eating more whole foods. Thanks for the opportunity to win this book! This would really help us as a family get on track. I too am very interested in feeding my family healthy food with out over spending. Sometimes I don’t think it can be done. This book sounds like it would be a tremendous help. Good luck to everyone who enters. I already follow her on Facebook. Since the beginning of this year, it feels like someone in our house has been sick or had allergy or sinus problems. I have been interested in eating healthier, but I wasn’t sure where to start. This book sounds like the perfect starting point. Thanks for letting us know about it. This sounds like just what I have been looking for! After having to dramatically cut back on an already slim budget, I have been looking for ways to feed my family healthy food without breaking our budget, a difficult thing to do. It seems like everything I have found so far hasn’t taken into account the inflation over the past year due to the economy. This sounds like it might help our family to the stewarts of not only our finances but also our bodies God has called us to be. Thanks for offering this giveaway! My family would benefit from the encouragement to eat better and spend less doing i! I would love to win this ebook! I looked at it and would love to buy it, but I cannot afford it right now. Looks like it would be very beneficial to my family. This looks awesome, I would love to win it!!! Thanks for such a great book giveway!!!! I also started following Stephanie on facebook. This book is exactly what I have been looking for! Thank you for the give away! Hi Anne, this book looks great. Thanks for hosting this giveaway. I’ve been easing into REAL food over this past year. I’ve mostly been following blogs to get recipes and ideas. Our library also has a copy of Nourishing Traditions and I’ve checked it out several times, but it would be great to have my own copy of a REAL foods cook book. I will sign up to follow Stephanie’s blog. This would be a great book for us we are trying to ease into a real food eating with a large family! It’s 3:00 AM. I just got home from work – stopped at Dunkin Donuts on the way to get my 2 powdered munchkins and coffee. Then….finished a Hersheys choc bar here…………HELP !!!!! Used to be able to afford organics, even have my own grain mill that has not been used in yrs. Would love to get back! Following on Facebook now…thanks again! Thanks for the give-away! I’ve been trying to prepare more nutritious foods for my family and this cookbook would really help. My library has Nourishing Traditions, but it’s always a LONG wait to get it. Such a timely contest! I have been working on our budget and menu planning for the past two weeks (in between all the other stuff, plus gearing up for homeschooling next year). I have found with a lot of the “budget friendly” menu plans available, the ingredients are really awful! Ramen noodles, hot dogs, and cream of mushroom soup are not high on my list of nutritional items! And with a special needs child, we just can’t eat like that!! And it seems like the cost of “good” food is just getting higher and higher! Real Food on a Real Budget is what I need to look at! I think this book would be a great help to extend our budget that hasn’t gotten larger in the past ten years (for 10 people!). 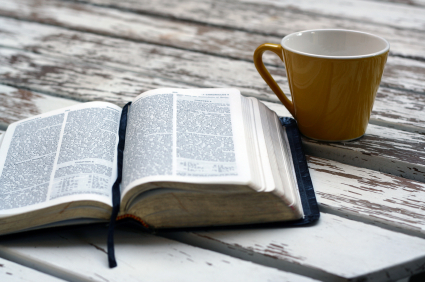 I have greatly appreciated ALL of your coffee break newsletters – they are so encouraging. I also liked Keeper of the Home on Facebook. Of all the emails I get, I look forward to yours most of all! Thank you so much for all of your encouraging words and helpful advice. I would love to read this book. I have a smattering of knowledge about eating whole, healthy foods, but I can’t seem to continually put it into practical use; and nothing I have read so far makes it easy to do and follow. 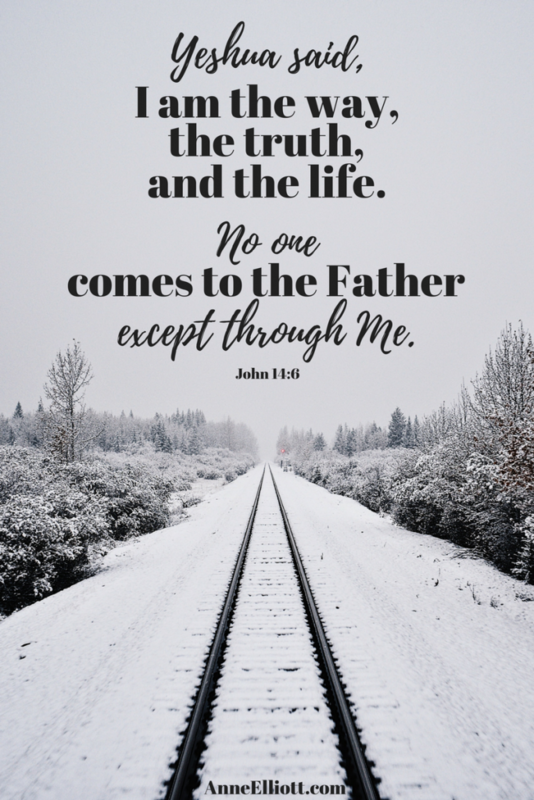 May our Lord Jesus Christ bless you richly!! I would love to win this. We are a one-income-household. I am fairly new to your beautiful blog. I enjoy all the helpful information and insights. I would love to have this book as this is an issue I struggle with. Because, I think I might be getting some of the real food in my family- but the budget part is going crazy- I just can let the pendulum swing the other way again. . . I would love to win this book! I like and agree with Sally Fallon and Weston Price but let’s face it, with nine children still at home we just can’t afford to eat that way. I’m also a Birth Worker and am always on the look out for good books to recommend to women that they can really use. Though I’ve not read it yet I bet this book would be one I’ll need to add to my recommended reading list. Thanks for this giveaway opportunity! Family just started eating healthier by watching calories, etc.. Just recently found out 7 year old daughter is overweight just like her mommy and daddy. Trying to make changes! I would love to win this book. I’ve been following Stephanie’s blog for a long time, bought her first ebook, and would love to have this one as well to help our family buy real food on a budget! It would be great to win this book. I’ve been needing something like this to get me started on the right track. This book sounds so beneficial. I would love to win it. I follow Stephanie on Facebook. This book sound like the book I need. I try to eat healthy but… I would love to win this book. I have been interested in this book since before it came out. I have been following her blog. I follow Keeper of the Home on Facebook now. Ooh, sounds like a great book! I’m following on facebook also. It sounds like the kind of book that I could use, since I’m on a tight budget. Good morning, everyone! Wow, I am just overwhelmed at the response we had to this book giveaway. I SO MUCH WISH that I could give all of you a copy. I could cry at some of your comments, and I’ve been giving a lot of thought and prayer as to how I could help in some of my upcoming e-zines and blog posts. Stay posted, okay? On to the winner… Our winner is Pauletta from http://www.wifeandmommythoughts2.blogspot.com/ Why not take a peek at her blog today and say “congratulations”? She is mom to several little ones, and I know this book will help her out. If you’re needing some free help today, don’t forget to take a peek at the articles on my website at http://anneshealthplace.com/beginnersguide.shtml Maybe something there will be a blessing to you today.